A football camp with English lessons – a great choice for your football mad teen this summer. Your teen can have a great summer in our Southampton football camp – now the school’s most popular English course for teen boys. Places are filling fast, so to help you choose Crossroads Languages is going to give you a quick view of some favourite kid’s and teen English courses that still have places available for this summer. Get in touch if you need more information or advice. So let’s get started with the programme that is still top for the boys ……. Our English & Football Camp offers you an exciting combination of professional football coaching, English lessons, trips and other activities. 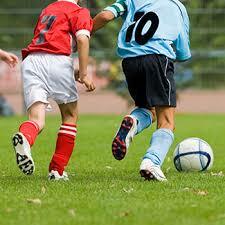 Young students will also play competitive matches against local British teams. Training is at a Community Champion School and sports psychology classes are at Southampton FC’s stadium, St Mary’s. There is also a stadium tour and the possibility of meeting a first team player! You will work with fully qualified coaches from the Saints Foundation. You will use Southampton FC kit for matches, and can buy a replica kit from the club shop. Compare with other English and football programmes for teenagers.